‘A Yiddishe Kop 3 Stories’ is now available at your local bookstore and Judaica! 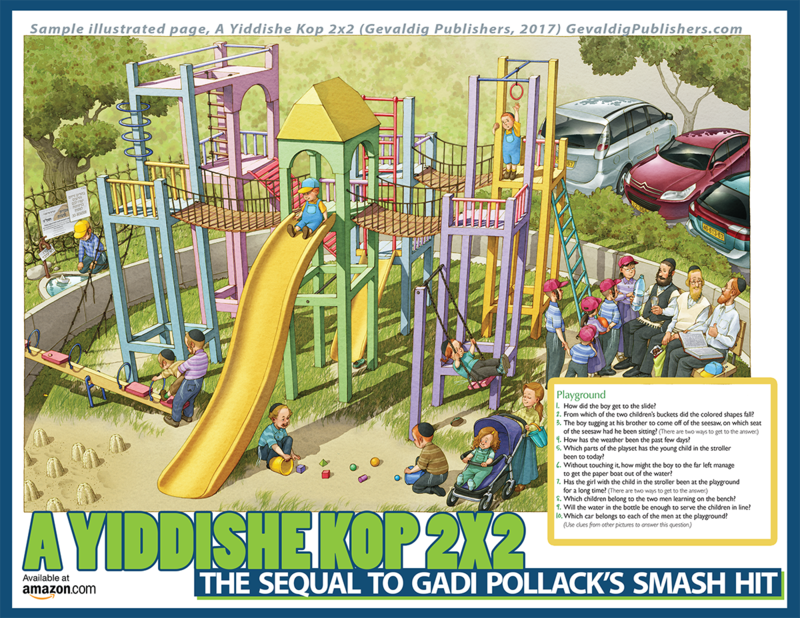 Gadi Pollack’s newest and third volume of investigative illustrations, A Yiddishe Kop 3 Stories, is continuing the thinking revolution of the two volumes. Get ready for endless hours of enjoyment – thinking, discovering details, analyzing information, and drawing conclusions. It’s intellectual development at its best! A Yiddishe Kop 3 Stories features several sets of three short beautifully illustrated stories, followed by a list of 40 brain-teasing questions. Finding the clues and answering these questions requires a keen eye, logical reasoning, and broad thinking. You or your child will develop creative thinking, learn how to think “out of the box,” and to see the world from entirely new points of view. “A Yiddishe Kop” is far more than Yiddish for, “A Jewish Head”. It is a concept that crosses languages and cultures-that lives at the intersection of intelligence, imagination and wit. “A Yiddishe Kop” embodies the zest for challenge, the yearning for truth and clarity, and the honing of lucid deductive reasoning through the application of Jewish and worldly knowledge. The first two volumes were definitely one of a kind, but Gadi Pollack’s third volume is really the charm. 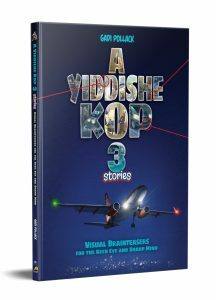 Titled “A Yiddishe Kop 3 Stories“, this third volume of brain teasing questions is built upon sets of three short stories which are linked and intertwined. 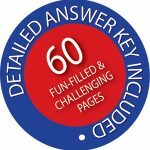 The book also has both a short answer key and a longer detailed version version explaining the answers and the reasons behind them. For obvious reasons, you mustn’t peek at the answers! There is no choice but to fire up your Yiddishe Kop and go full steam ahead. Parents seeking creative, wholesome and stimulating entertainment for their children, will find what they are looking for in “A Yiddishe Kop 3 Stories”. Parents shouldn’t be surprised if they find themselves pouring over the pictures with wrinkled foreheads even before their children have had a chance to hold the book! This is the feedback we received from the previous volumes and it takes no stretch of the imagination to assume “A Yiddishe Kop 3 Stories” will produce the same results. Put this book in the bookcase, but it won’t stay there for long. 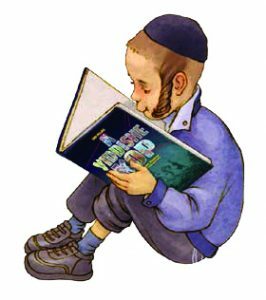 “A Yiddishe Kop 3 Stories” will swiftly find its way to the table, come to rest on a child’s knee and grab the attention of curious and intelligent eyes. “A Yiddishe Kop 3 Stories” offer hours of intelligent clue-finding fun for your entire family.